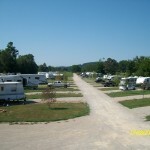 Select your Star rating above in each Category and Click "Submit Your Rating" Write a Review of your Visit of Big Creek RV Park LLC. .
Big Creek RV Park is a full-service park with 40 big-rig friendly sites. 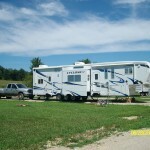 All sites have 30-and 50-amp electric, water, and septic hookups, cable TV, and wi-fi Internet. 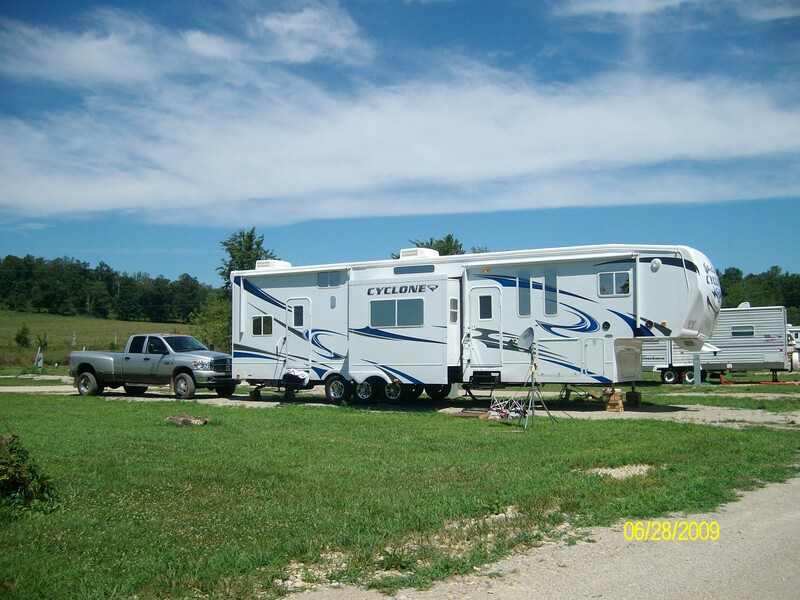 We have spacious, private showers and an on-site laundry, as well as a propane fill station. We also have a game room and a large playground for the kids. 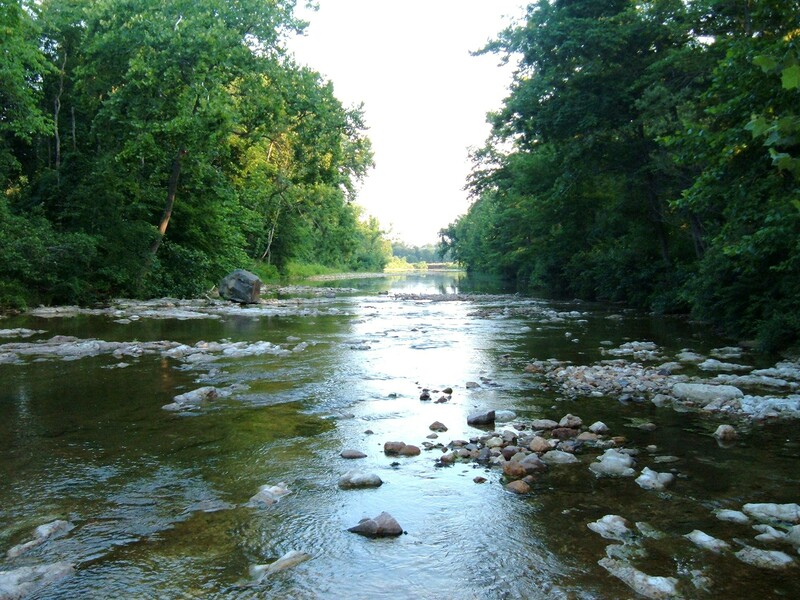 Big Creek runs the length of the 38-acre park, providing a great place to wade, swim, or fish. 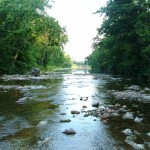 Walking trails wind their way beside the creek--a perfect place for a relaxing stroll. Nothing beats the rubber duck races in the creek on the weekends! Nearby attractions include Crane Lake, Clearwater Lake, Johnson's Shut-Ins, Elephant Rocks, Fort Davidson, Taum Sauk Mountain, and the Black River--just to name a few. So come stay with us and see it all! Come stay with us and see it all! We are 20 minutes or less from a huge array of things to see and do! You can visit many state parks and conservation areas, including Johnson's Shut Ins, Elephant Rocks, Taum Sauk Mountain, Millstream Gardens, Sutton Bluff, and Ketcherside Mountain, just to name a few. If hiking is your thing, we are surrounded by Mark Twain National Forest, and trail maps are available in the office. Civil War buff? Visit the Fort Davidson Historical site...and the Fort Davidson Museum--it's fabulous! Love antiques? There are many antique shops in nearby Arcadia Valley and the surrounding area for you to peruse. From St. Louis: Take interstate 55 south to US 67 exit (35 miles). Go south on US 67 to Hwy. 221 (34 miles). Turn right on Hwy. 221 to Hwy. 221 (7 miles). Turn left on Hwy. 221 to Hwy. 21 (a short distance to stop sign). Turn left on Hwy 21 to Hwy. 49 (9 miles). Straight ahead (4 miles) to Big Creek RV Park on the left. **Please Note: If you Yahoo Map our location, it will give you an error message. Then it will show our location in the town of Annapolis. We apologize for this difficulty. I've submitted several requests to Yahoo to correct this error, and I will continue to work to get it corrected. We seem to have fixed the errors in Google Maps, so you may Google Map our location instead, if you wish. Or, feel free to use the driving directions above, the map below, and the GPS coordinates listed below the map to get to our location. If you are coming from north of us, you can follow the directions Yahoo gives you, and you will see us on your left BEFORE you get to Annapolis. If you are coming from south of our location, you can still follow your Yahoo directions. When you get to Annapolis on 49, you will come to a 4-way stop. Turn right at the stop sign, and you will be continuing on Hwy. 49. Drive approx. 5 miles out of Annapolis, and you will see Big Creek RV Park on your right. If you need more detailed directions, use the address for Rachel's Bed and Breakfast in Annapolis--they are just 5 miles south of us. The address is: 202 W. 2nd St., Annapolis, MO 63620. However, remember that we are 5 miles NORTH of Annapolis, so use the adjustments given above for Yahoo maps and you'll be fine. We're always a phone call away, so call us if you need assistance! 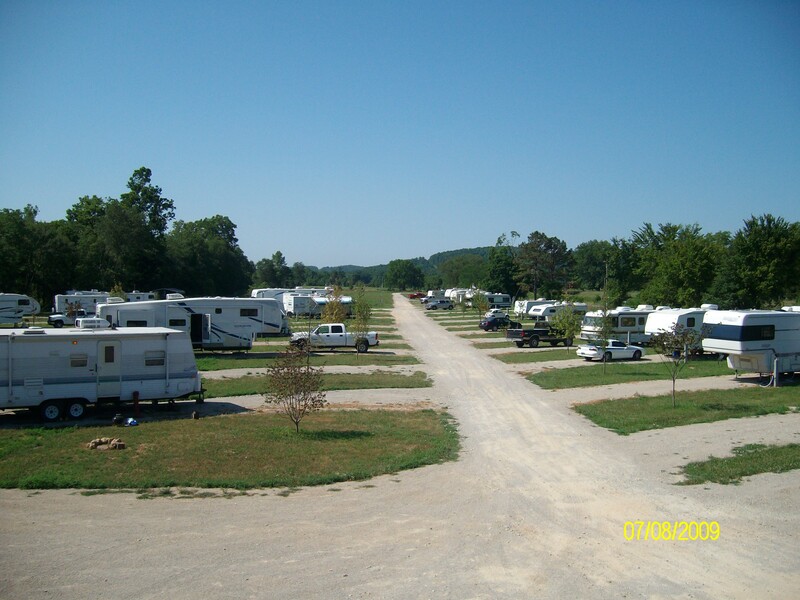 You won’t find a better, cleaner and friendlier place to camp than Big Creek. Craig, Patty and Roxie are the greatest.